Calvin was born at Noyon in Picardy, France on July 10, 1509. His father was secretary to the bishop who desired to see his son study theology, but later, due to a rift that formed between him and the Catholic Church, decided it would be more beneficial and lucrative for him to study law. He was trained and brought up in the medieval scholastic tradition. He studied under Pierre de L’Estoile at Orleans and fell under the spell of humanism that was sweeping the university scene. During this time we find his first work in April 1532, a commentary on Seneca’s De Clementia. His life became one of turmoil in Paris and he fled to Angouleme, where there would be a “sudden conversion” to Christianity (which he refers to in his Commentary on the Psalms) possibly during his time of respite. Such a change may have taken placed in the year 1534 where Calvin returned to Noyon to resign his benefices he had made with the Catholic Church just a year previously. In any case, it was the recaptured Word of God through the preaching and teaching of the Reformation through its scholastic humanistic tradition that moved Calvin to heed Christ’s voice. Paris, Poitiers, Orleans, Strasbourg, Basel and Italy are the main posts in Calvin’s life during 1534-1536. At Orleans he writes his Psychopannychia, a book against the Anabaptist teaching of soul sleep (it was later printed in 1542). In a short stay at Basel, there he worked on the first edition of his Institutes of the Christian Religion, which was later published in 1536. After the death of his father, he traveled from Italy back through France to tie up the loose ends of his father’s estate. Here he met Guillaume Farel who was preaching in Geneva and bringing about Reformation. Farel convinced Calvin through threatenings that God desired to use him in Geneva to bring about full reformation. Calvin conceded, “stricken with terror” at such threatenings. He was first to be a preacher in Geneva, but then after his talents were known, was pressed to become the pastor of their city congregation. He preached regularly which brought him into the thrall of reform and the movement of the Reformation immediately in Geneva and later, globally as a theological reformer. Unfortunately, Calvin’s disciplinary measures were too much for the Genevan council and in his refusal to distribute the Lord’s Supper to wayward church members, the Genevan council ejected him from the city (along with Farel and Courault). Calvin, then, went into exile in 1538 until 1541 in the city of Strasbourg. There he enlarged a second edition of the Institutes, and wrote a Short Treatise on the Lord’s Supper. Later, in opposition to the advancements of the Roman Church towards Geneva in his absence, he wrote a Reply to Sadoleto that seemed to demonstrate that though the city had expelled him, he still cared for his former flock. Geneva, in turn, called him back, realizing their error. Calvin loathed returning, enjoying the respite in Strasbourg. However, on September 13, 1541, Calvin again resumed his preaching and teaching in Geneva in obedience to God. 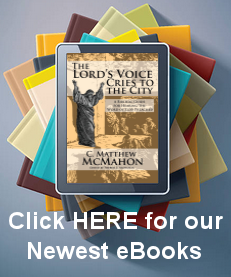 When Calvin returned to Geneva, his desire was to change the city and church into a Christian commonwealth. He concentrated on producing the Ecclesiastical Ordinances in 1541, outlining what needed to be accomplished. He also produced the Catechism of the Church of Geneva and in 1542 he issued his Form of Ecclesiastical Prayers and Hymns. Not only did he take on the role of both theologian and pastor of the city, but also became involved with political and civil affairs. Being part of civil affairs was necessary, but Calvin was not fond of it believing this would harm his usefulness as a minister of the Gospel. Yet, his ability as a churchman or pastor over the city remained forefront in his attempts at ecclesiastical discipline on wayward residents. He believed social activity could be strengthened by discipline enacted by the church for the good of the whole people. Along with discipline went the administration of the sacraments that he felt would strengthen this Christian commonwealth. He desired everyone in the city to conform to the Gospel standards, and partake of the supper in order to knit closely together a community fervent for the Lord. However, Calvin desired to guard the “sanctity” of the sacrament, and he set up the Genevan Court to make judgments on matters of church discipline. This Consistory was made up of pastors and elders nominated by the Council to watch over the life of the people, as well as having the Magistrate deal with matters needing disciplinary attention. Calvin’s success in Geneva gave him the prime opportunity to become another “Luther” for the Reformation. He saw that the same struggles Geneva was going through at this time, were identical with other areas of the European Reformation. This made his influence at large more helpful. His greatest influence was his Institutes, which at this time had gone through three major revisions. In other immediate ways, he proved to be an example to the neighboring cites, cantons and countries through his disciplinary measures, though some were undecided as to whether he was being trivial in the matters taken up or simply thorough in his attempt at reform. When Farel had arrived in Geneva, the city was a place of debauchery. However, through Farel’s first reforms the civil magistrate under his direction enacted many disciplinary actions. It would be incorrect to think, then, that Calvin “began” such actions when he arrived; he simply structured it. His goal was civil and social discipline through sanctification of the individual person. Since Calvin was becoming a national and International figure in the history of the Reformation, and his action in Geneva had begun climbing to public foresight, so did the rumors and slanders against him. Though Calvin received slander from many sides, there are three which are most prominent: Castellio, Bolsec, and Servetus. First, Sebastian Castellio was a former boarder of Calvin’s home, but Calvin felt he insulted him and asked him to leave. In 1541 Farel asked Castellio to become headmaster of the convent of Rive. Calvin preferred Mathurin Cordier, but Castellio stayed on as headmaster due to Farel. After some bitter discourses, Castellio felt he should leave Geneva. After he gained knowledge of the burning of Servetus, Castellio wrote against Calvin bitterly, as well as attacking his doctrine of Predestination on two different occasions. He spent his time lecturing here and there, but ultimately died of starvation. Secondly, with Jerome Bolsec, Calvin’s involvement with him was of a different sort. “He was at one time a Carmelite monk, and had been converted to the reformed faith.” He practiced medicine in Geneva and admired Calvin except on the doctrine of predestination. He burst out one day against Calvin during a church service while another preacher was preaching on this topic. Not only did he attack the doctrine, but also Calvin’s integrity (as Castellio did). Calvin arrived unexpectedly at the church while Bolsec was venting his anger, and answered every one of his objections faithfully from the Bible. Bolsec was then banished from Geneva, and Calvin desired he be banished from the Swiss Cantons altogether, but neighboring cantons were not as rigid. Bolsec, though, demonstrated his troublesome character in other places, and Berne cast him out as well. After Calvin’s death, Bolsec published a life of Calvin filled with bitterness and slander, something the Roman Church enjoyed seeing and took advantage in discrediting Calvin as they were able. Thirdly, Michael Servetus is another grim story altogether, and a blot in certain respects on the reformation. He was accused of terrible blasphemies against the Trinity (and rightly so), subsequently captured by the Roman Church, and sentenced to be executed. Amazingly he escaped and fled to Geneva where he thought he would be treated better. He was arrested, a hearing was held against him, and he was found guilty. Calvin desired to expose Servetus for his hidden past and present theological blasphemies. The magistrate condemned him to death, and Calvin consented to this, though he opted that Servetus be beheaded mercifully. His desire was overturned by the council and Servetus was burned. After the execution, Calvin received “universal approval” from all over the world for these actions, even for the burning. However, since Calvin and Beza attempted to justify the actions over and over, people began to be suspicious as to whether this course of actions was correct. Calvin also involved himself in the merchant trade and the economics in Geneva. Trade had begun being filled with wickedness and deception for profit, and Calvin saw the possibility of turning it into a city with the industry of hard work and honest gain. He explained the proper use of economics in usury and its biblical usage in comparison to its sixteenth century use. There should be the “mutual communication of gifts” to the body, and so all should live in accord with honest work for one another and the good of society. The rich should care for the poor, and the poor should have no ill feelings in relying on monetary help from the rich – those whom God has blessed with His goods to distribute charitably. However, it was not that the rich should share so much with the poor as to become poor themselves. Rather, a wise use of money to the glory of God should be the end. Thus capitalism was not necessarily Calvin’s goal, though it was unavoidable at present, and should be exercised with prudence. Calvin set out to order education in the city, and how that education would affect the church in worship. He did this to prepare the children for ministry and participation in the civil government. Catechizing took precedence, and in 1545 he wrote a more complete version of the Genevan Catechism. There were two sections in the order of learning: first, a child sent to the Schola Privata to learn the basics of Greek and Latin and the study of dialectics. Then in the Schola Publica, there they learned different elective courses in “Theology, Hebrew, Greek, Poetry, dialectic, Rhetoric, Physics and mathematics.” Humanistic studies were directed towards ministry opportunities and the study of the Word of God. “Ministry” came before “civil government” in this regard. All these sciences and any secular education were pressed out of the mold of Calvin’s understanding of man’s image being made in God’s image. This highlighted the remnant of common grace which Calvin believed God granted humanity in allowing them to exercise basic tenants of God’s image in the world. Men were not so totally fallen that they could not think and act. Thus, there were those who were gifted in the arts and could benefit society in this manner. He did argue against the use of images in the arts that depicted God for worship. The Swiss reformers, unlike Luther, would not allow visible representation in the humanities to be made to guard against the possible cross over into the worship of the church. God should not be represented in this way at all; otherwise he would become debased by human depiction. Music was allowed to play a part in worship, though Calvin pressed congregational singing. Therefore, biblical prudence was used in administrating the use of arts in the church. Calvin attempted to create a Christian commonwealth where the church and state remained separated but linked. Civil government should exercise its lawful duty in upholding order and establishing a responsible “humanity.” However, Calvin drew clear lines between that which was heavenly (in the church) and that which is earthly (in government). The Church and State, though separate entities, were part of the same idea as a Christian commonwealth. Here everyone had a proper place, including the poor. Each individual should find their “sense of worth” and be seen as worthy by others no matter their class. Their relationship with Christ, then, in a spiritual sense, removed all boundaries, where on earth, such boundaries should be respected, and each individual should fulfill their role as God had so ordained. Calvin’s emphasis on his own mission was as preacher of the Word of God. He saw himself as an architect who was in the thrall of reconstructing the church through the use of the Word of God. He structured fundamental articles that all men for all time should adhere to (such as the doctrine of the Trinity), and formulated a structure for worship that was simple and glorifying to God according to the expressed Word. In the church, each member was to use their gifts as part of the body, especially the elder and the deacon as representatives of Jesus Christ. Calvin pressed for unity in the body of Christ, not only in Geneva but across the Reformed world. There could be no true unity except by the truth of Word, so any who had grievances or disagreements within the Reformed community should meet and talk them out in order to come to a mutual understanding for the sake of the church. In this light, he gave practical care to wayward bodies and rising sects in order to bring them back to the truth. In this regard he had a powerful influence over his native home, France. He advised people from royalty to peasantry, and worked much among the refuges that came from France to Geneva. This is important especially in light of the persecution to Reformed brethren in France, and counsel to them in the midst of trials. Calvin also stressed the need for personal sanctification in the life of the individual believer. This was especially true in his attempt to help individual believers attain full assurance of faith before God in contrast to the Roman Catholic position. Here we see his abilities in pastoral care as operational among the people and vital for their well-being (as it would be with any elder, or should be). Preaching, then, was a “pastoral event”, and this mindset would have profound influence over the manner in which the sermon was constructed for the good of the people, and follow up visitation in this manner rounded out the ministry of the word to the individual. Such a full orbed pastoral ministry would result in helping those move their eyes away from life, themselves, or their circumstances, and back to Jesus Christ and the forgiveness of sins. Calvinism has touched every sphere of life and penetrated every century since its formulation under Calvin’s pen, though the doctrines contained in Calvinism are not original with him. Calvinism emphasizes the need for Christ and the debasement of self. Christ, then, is to be followed always, and “the self” is to be denied as the Christian fights against his flesh to glorify Christ at every turn bearing his cross that he carries daily. Such a life is the summa of the ordination of God for the follower of His Word. There is a struggle between two worlds, the heavenly and the earthly, and the Christian must use the earthly in order to bring glory to Christ in the heavenly. Calvin also exemplified a pastoral exhortation to holiness to the church that was founded in God’s ordination of events. In other words, Christians should not lose heart in their endeavors on earth. Thus, the Christian, as Calvin was, should be filled with zeal that is bursting forth as a witness for Christ. In his preaching, letters, public debate, personal counseling, the chief aim he set for the Christian was the glory of Christ. Thus, as much as the cross is central to his theology, so is the motif of the resurrection. The most important contribution Calvin made to Christendom, as a whole, was his theological prowess and writing ability. The Scriptures hold the complete uniformity of beliefs that we should, “ponder and reflect upon.” This “theology” leads the inquirer into a personal “encounter” with Christ. Theology enlightens men who are bound in darkness and causes them to come face to face with the risen Christ who currently rules and reigns from heaven. Calvin, then, found all biblical texts important, and throughout his writings, these remain the basis for good theological reflection. Though his writings may be inadequate because of the problem of accommodation, it is the task of the theologian to make all this sensible to the church. As a theologian, then, Calvin wrote voluminously, though he concentrated his mind in his Institutes. Calvin’s theology dictated his practical interaction with the church, and his history in the Catholic Church and the doctrines which remained faithful to the Bible, are seen as emerging with full vigor. The person of Christ (as the God-man), His work as redeemer for the world in His atonement, the nature and attributes of God seen in the Gospel of Jesus Christ, and the Trinity take special precedence in his task to make theological concepts lucid and practical. Practically, Calvin spent much time dealing with the relationship between providence and Christian faith. Though God may cause his people to go through the fire for a time, and their enemies may prosper, the ultimate good behind all this is seen in the wonderful deliverance God has for His people in the end. This secret plan is manifested slowly by God’s eternal plan in time, and Christians are to bear out the course of it as it unfolds, predestination of men to heaven and hell being among the chief concerns of God in the world. However, there are some who believe that Calvin equated eternal election with reprobation in an unbalanced view since they believe the Bible places far more weight on election rather than reprobation (though this is theologically inconsistent in biblical logic and the aim of important predestination passages concerning the “counsel of peace” or “Covenant of Redemption”). Calvin strove all his life to make this eternal plan, encompassing both the predestination of men and of providential events, as plain as he could. Thus, his theology remained a theology of “transition” during his life, in taking the church from the time of ignorance into light.